Fans of Pixar can readily recall their most memorable moments from their favorite Pixar film, right? They may even be able to recite lines from their favorite character since they've watched the movie so many times. But what the average Pixar fan may not know about is how all of the geometric shapes that make up a scene, textures, lighting and much, much more end up in a format that we can all enjoy on the big screen. That's where Pixar's RenderMan comes into play. Without getting too complex, rendering is the process of taking the many elements of a computer model and generating a still image of those elements. built upon the new RIS Framework. Pixar is consistently setting the bar to the highest of standards and with the upcoming release of RenderMan, Pixar is certainly keeping those standards in mind. The takeaways from their latest announcement are "Advanced global illumination and a radically different pricing structure". In fact, the pricing structure was cut by 75% for commercial licenses and is now (for the first time) free for non-commercial use. What's even more remarkable is that there are no watermarkings, limitations or other rendering time limits imposed on the non-commercial use version either. The news that their RenderMan software would be free for non-commercial use should come to no surprise as the studio prides itself on technological advancements, education and sharing their passion and knowledge with others. Pixar believes that limitations on software access have become an impediment on the development of the production industry, and that universal access and a set of common standards and practices can only stimulate greater growth and development. Representing years of research and development, Pixar Animation Studios today (May 29) announced a series of important innovations in the latest version of its forthcoming Academy Award®-winning RenderMan software that will radically impact the way film imagery is rendered and accessed by everyone. This generational shift in RenderMan establishes an entirely new modular rendering architecture called RIS that provides highly optimized methods for simulating the transport of light through multiple state of the art algorithms, including an advanced Unidirectional Path Tracer and a Bidirectional Path Tracer with Progressive Photon Mapping (also known as VCM). Along with major feature and performance enhancements, physically-based, artist-friendly workflows, progressive re-rendering, and the established advantages of RenderMan’s traditional REYES architecture, RenderMan now offers two rendering modes within one unified environment, providing the most advanced, versatile, and flexible rendering system available. With rendering technology constantly evolving, RIS represents a forward-looking framework through which Pixar can deploy additional rendering methodologies as they become available. RenderMan is the conduit through which applicable advanced research from within the Walt Disney organization will be channeled into the production industry, including in the forthcoming release, Disney’s Principled BRDF shader and supporting materials. If you really want to dig into the technical elements of the upcoming RenderMan, we would recommend reading the in-depth look on the fxguide site. The new RenderMan is being released in the timeframe of SIGGRAPH 2014 (August 10-14, 2014) and will be compatible with the following 64-bit operating systems, Mac OS 10.8 and 10.7, Windows 8, 7, and Vista, and Linux. Autodesk Maya compatibility is with versions 2013, 2013.5, 2014, and 2015. 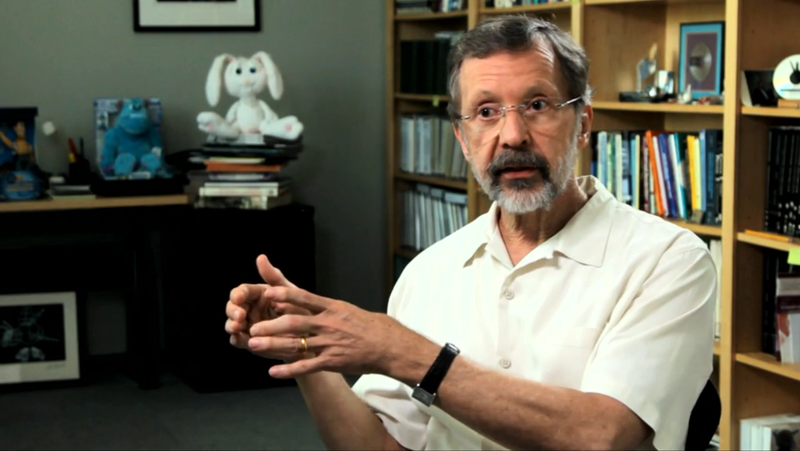 Dr. Ed Catmull is also featured in a series of short discussions on the RenderMan site surrounding the history of RenderMan, the future of the software and how it has impacted the industry. To register for the non-commercial version of RenderMan, all you need to do is visit the official Pixar RenderMan website. Did you know that RenderMan is considered the industry standard rendering program and was utilized in 2013 to render (among many other films): Frozen, The Great Gatsby, The Hobbit - The desolation of Smaug, Iron Man 3, Man of Steel and Pacific Rim? 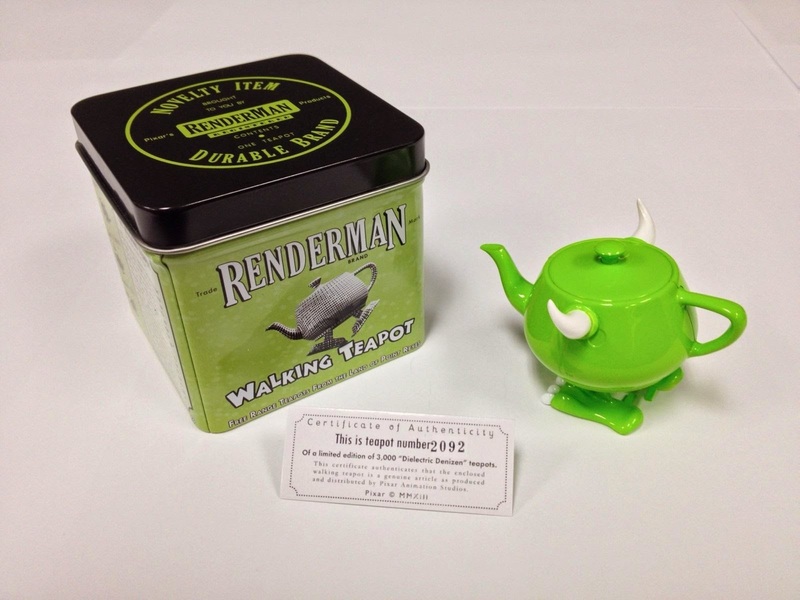 Since the upcoming version of RenderMan will be released around the time of the 2014 SIGGRAPH (Special Interest Group on Computer Graphics and Interactive Techniques), we thought we'd remind our readers that each year, one of the most sought after pieces of memorabilia from the show is the RenderMan Walking Teapot. Check out the related posts below to learn a little more about the coveted walking teapot and why the teapot was chosen as the giveaway.